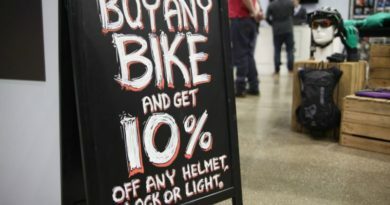 As retail robberies rise, what can bike shops do to boost their security? With bike shop theft at crisis point in the cycle industry, retailers are turning to new technologies to fight back against crime. Many independents are cutting staff or being forced to close as they are ruthlessly targeted by thieves for high end stock including electric bikes worth thousands of pounds. In just one month earlier this year, Corley Cycles in Milton Keynes, Dean Forest Cycles in Gloucester, JC Cooks in Grimsby and Cornwall’s Clive Mitchell Cycles were all broken into and over £100K of bikes was taken. Another victim was CycleSwitch in Worcester which was forced to close due to a series of stock thefts over several months totalling £400K. The latest Police-recorded crimes in England and Wales confirm that retail robbery is on the rise (up 31%) which has led to police forces adopting the latest technologies to combat crime including a DNA intruder spray system. One of these sprays, made by British manufacturer SelectaDNA, was used in Manchester last year as part of a police operation to protect high street businesses. In just nine months (Jan-Sept 2018), crime was reduced across the city by nearly a quarter (24%), and most importantly, all the retailers in the trial were not targeted a single time in 12 months. The benefit of the spray is that it offers something that no other system can – the ability to place an offender at the scene of a crime. And that is something that criminals are extremely fearful of – highly visible warning signs ensure they are aware of the systems. 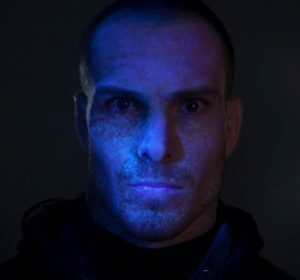 Once triggered, the spray soaks intruders in a solution containing a DNA code, unique to each individual store, that is visible under the UV lights used by police in custody. The spray can remain on clothing and skin for weeks and even months. Used by retailers in over 20 countries, the spray can be armed by a panic button for daytime protection and/or linked to an existing intruder alarm system to protect stores out-of-hours. While ‘after hours’ burglaries and raids are commonly reported, in-store theft also makes up a proportion of crime within the trade. As the retail industry moves towards automating the in-store experience for its customers, these problems are only set to grow. One way forward is for independent bike stores to register all their bike stock on national cycle database BikeRegister (www.bikeregister.com), which immediately gives bike shop owners a link back to the store in the event of theft or thieves trying to sell the bikes on. If bikes are then taken from the store, the retailer can flag them as stolen from their online account. If the offenders try to sell them on, buyers can use the Bike Checker facility on the website to discover the bike on offer is stolen. 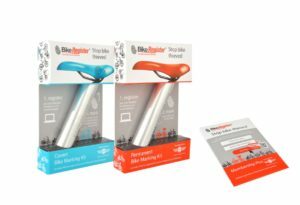 BikeRegister is the leading online bicycle identification and registration initiative aiming to reduce cycle theft, identify stolen bikes, enable Police to reunite bikes with their owners, and to bring bike thieves to justice. 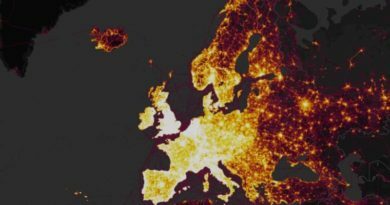 It has over 800,000 bikes on its database, and is used by all UK Police forces including the Met Police and British Transport Police. A Police App makes it incredibly quick and easy for law enforcement to check bikes on BikeRegister. bike marking to their customers. 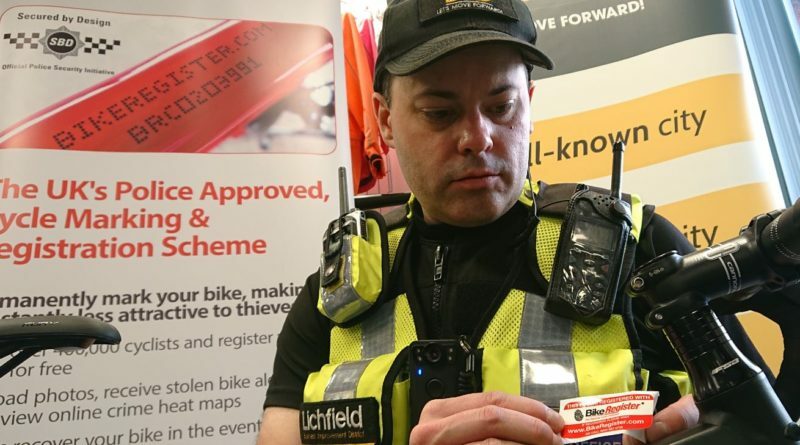 Following an increase in bike theft throughout the West Midlands, Lichfield BID is taking action against bike thieves and hosting a series of bike marking events to increase public awareness and as a deterrent to bike thieves. uld be marked with a unique BikeRegister ID and registered on the national cycle database. 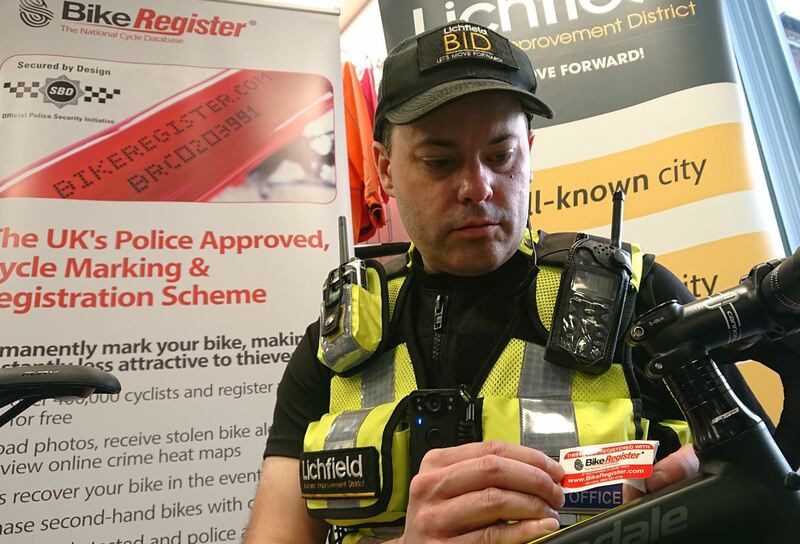 After the marking session, any marked bikes that are stolen and recovered by BID Support Officers and West Midlands Police will have their unique code searched on BikeRegister which can confirm if the bike has been reported stolen. The rightful owner can then be contacted and reunited with their property. In these difficult trading times, bike shops need to be maximising their security in order to target harden against criminal activity before the event and not just afterwards. They need to take advantage of new technology to protect their stores and staff and which can deter thieves in the first place. They also need to register their stock so that it is easily traceable and returnable if it is stolen. Ask the trade: How do you convert the internet shopper in store? 19 July, 2017 Mark Sutton Comments Off on Ask the trade: How do you convert the internet shopper in store?